Happy Halloween! 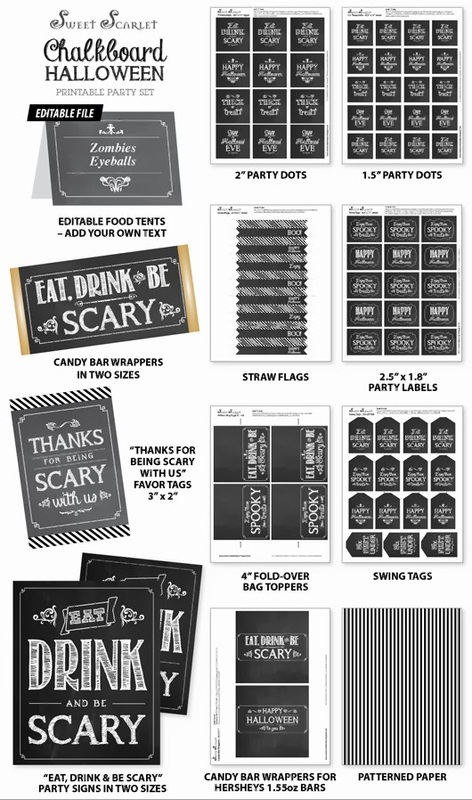 I had so much fun designing this chalkboard theme for my Halloween printable set this year. I love the versatility, the design coordinates with almost any party decor, age group or occasion and suits parties for both adults and kids - the possibilities are endless. 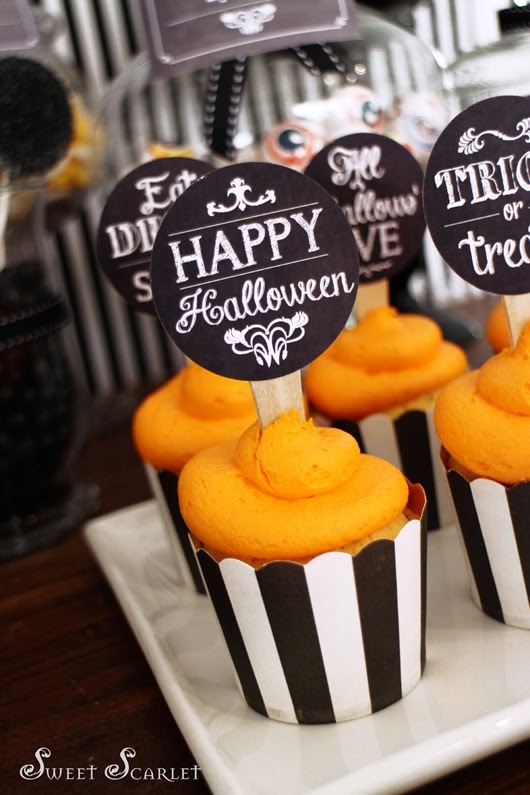 Printable Party Labels are great for theming your Halloween party food. 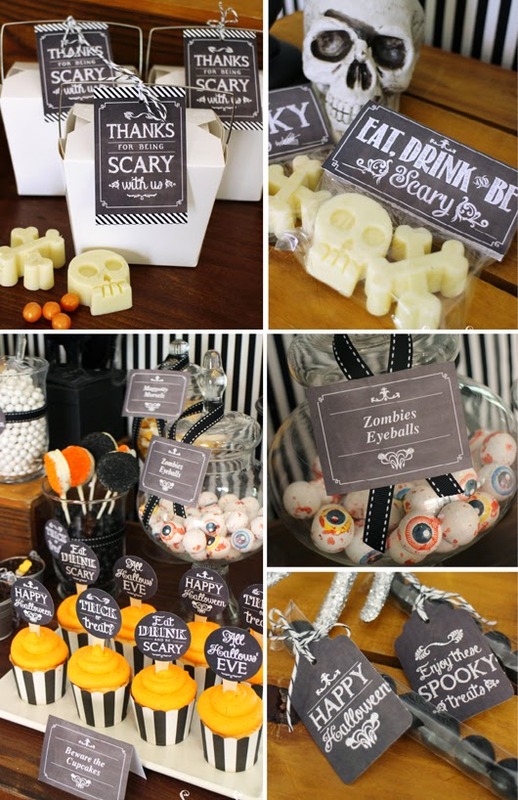 Cloudy Apple Juice in Mason Jars, Mini Choc Bar Wrappers, "Thanks for Being Scary With Us Favor Tags, and 2" Circle Party Dots as Cupcake Toppers. 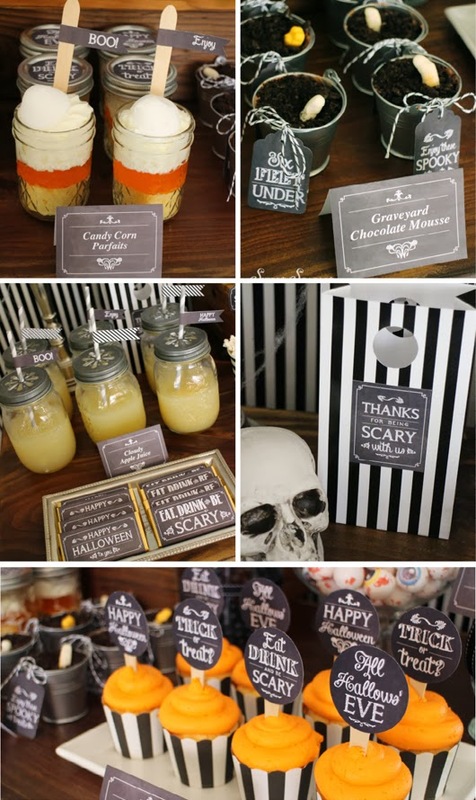 This Chalkboard Halloween Printable shop is available in my Etsy shop. 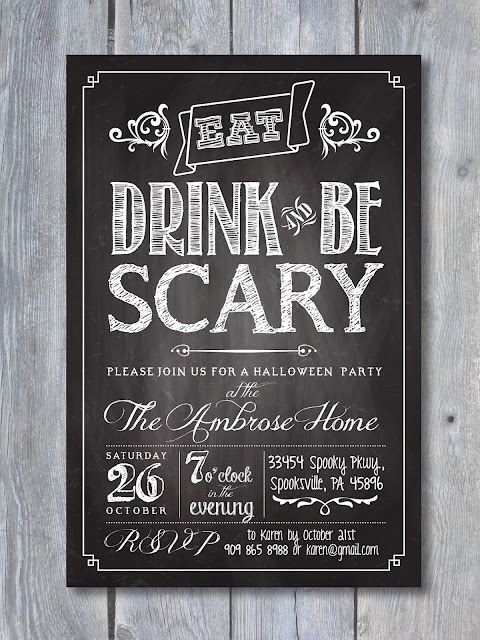 Coordinating "Eat, Drink & Be Scary" Printable Halloween Invitation is available here. 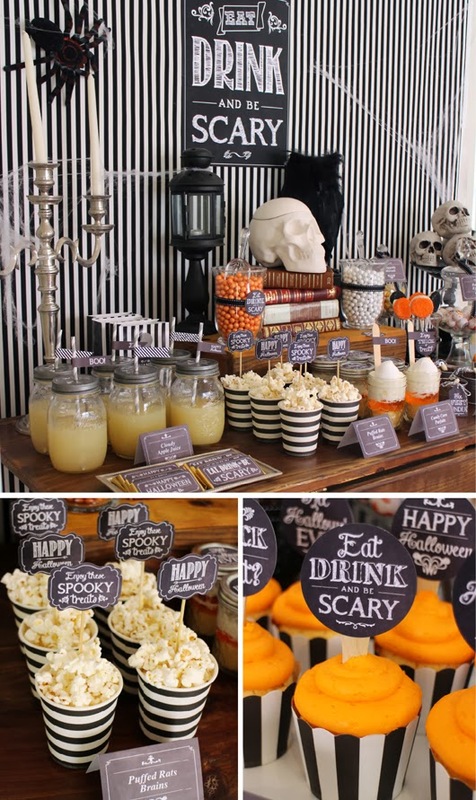 What a great dessert table! 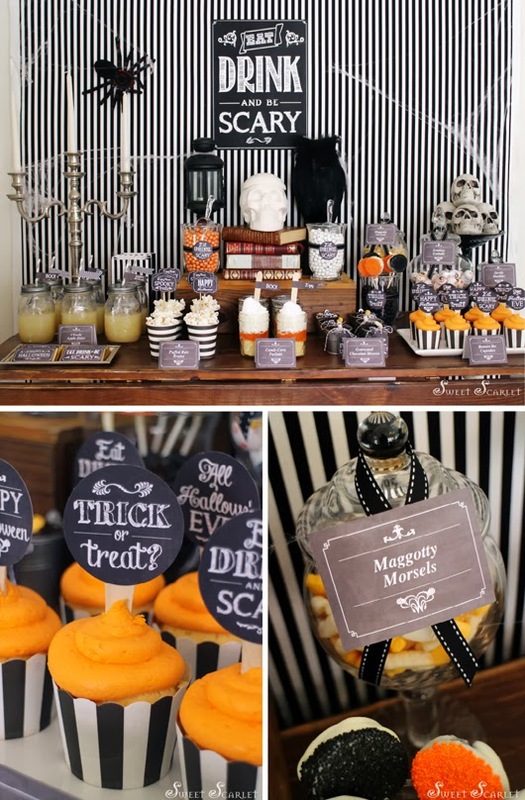 I love the chalkboard-style printables! What candies did you use for the "Maggoty Morsels?" P.S. I think this would be a great addition to a "haunted schoolroom" party, or a "haunted laboratory" party (with a few additions, like flasks/beakers, petri dishes, and a microscope)!